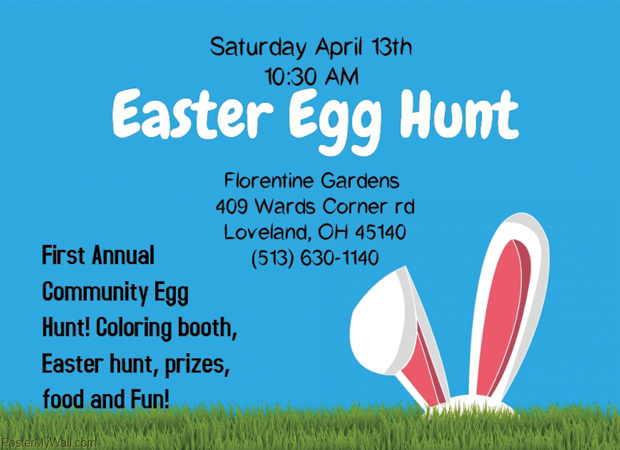 Don’t forget our community Easter egg hunt is this Saturday at 10:30 am!!! We hope to see you all there! Lots of eggs to find and prizes to be given away! We love our community and how we can connect together. We are committed to the highest level of quality, customer service, and creating a "Culture of Care" - inside of Florentine Gardens and in our community as well. With strong Christian values and heritage, Florentine Gardens Transitional Care and Rehabilitation and its parent company, Foundations Health Solutions, are committed to serving our communities with the highest level of clinical excellence and resident satisfaction, along with a strong employee culture which places priority and resources on the direct caregiving team.